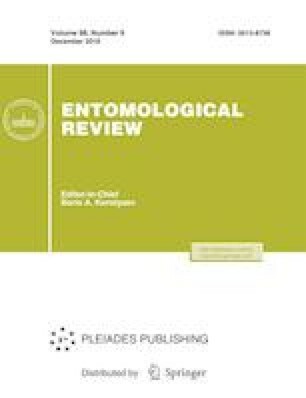 The paper presents data on the bionomics of the weevil Sthereus ptinoides (Germar, 1824) (Coleoptera: Curculionidae), living in the maritime marshes of the Northern Sea of Okhotsk area (the Northern Okhotomorye). The larvae of S. ptinoides develop in the driftwood in the tidal zone. The wood of deciduous and coniferous trees (poplar, chosenia, larch) is used as food and protective substrate. The stable food resource enables S. ptinoides development without strict reproductive phenology. Original Russian Text © N.E. Dokuchaev, B.A. Korotyaev, 2018, published in Entomologicheskoe Obozrenie, 2018, Vol. 97, No. 2, pp. 218–222.